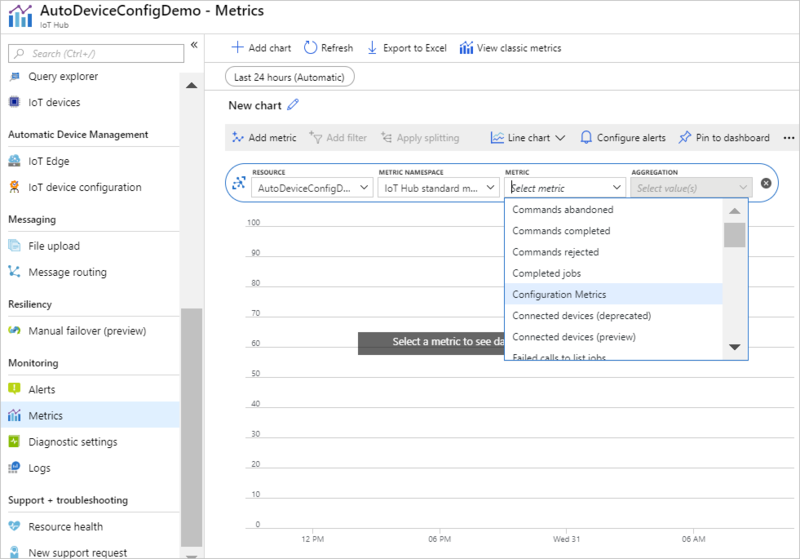 IoT Hub metrics give you better data about the state of the Azure IoT resources in your Azure subscription. 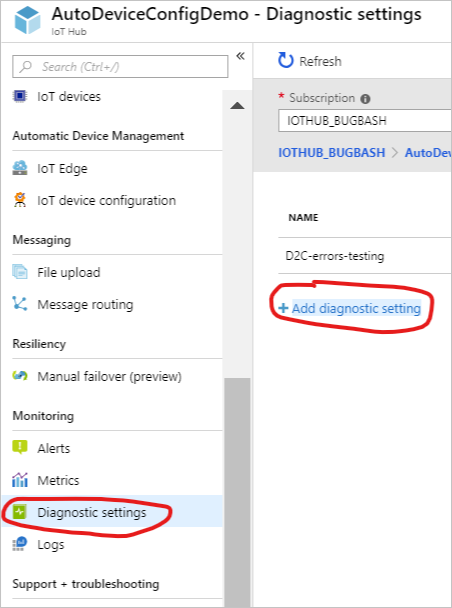 IoT Hub metrics enable you to assess the overall health of the IoT Hub service and the devices connected to it. User-facing statistics are important because they help you see what is going on with your IoT hub and help root-cause issues without needing to contact Azure support. Metrics are enabled by default. You can view IoT Hub metrics from the Azure portal. Create an IoT hub. 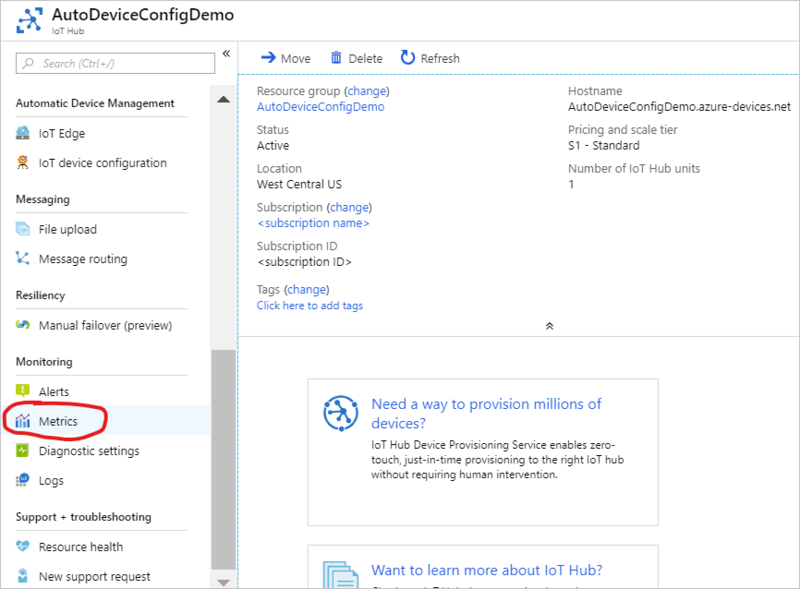 You can find instructions on how to create an IoT hub in the Send telemetry from a device to IoT Hub guide. Open the blade of your IoT hub. From there, click Metrics. From the metrics blade, you can view the metrics for your IoT hub and create custom views of your metrics. IoT Hub provides several metrics to give you an overview of the health of your hub and the total number of connected devices. You can combine information from multiple metrics to paint a bigger picture of the state of the IoT hub. The following table describes the metrics each IoT hub tracks, and how each metric relates to the overall status of the IoT hub.